Tokyo, March 20, 2013 - Fuji Heavy Industries Ltd. (FHI), the maker of Subaru automobiles, today announced that it will exhibit the "Subaru XV Crosstrek Hybrid" (US specifications) which is the Subaru's first hybrid vehicle as a world premiere at the 2013 New York International Auto Show (Press day: March 27 and 28; Open to the public from March 29 through April 7, 2013). In addition, Subaru unveils a concept version of its performance model. 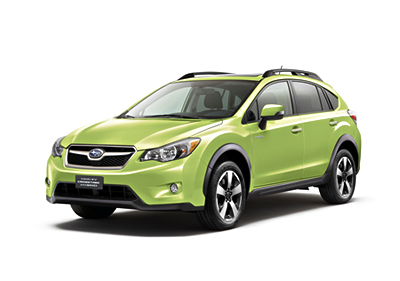 The Subaru press conference is scheduled at 11:05 am on March 28th. The special site opens today at 10:00 pm on the Subaru Global Site. The site will feature information updates relating to the New York International Auto Show including images of the "Subaru XV Crosstrek Hybrid" and Subaru's press conference.